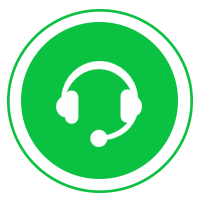 With Handset Designer your primary focus is maintained creating the building structure. Building primitives, such as walls, curved walls, and tanks, can be easily dragged/dropped and glued together at any angle. 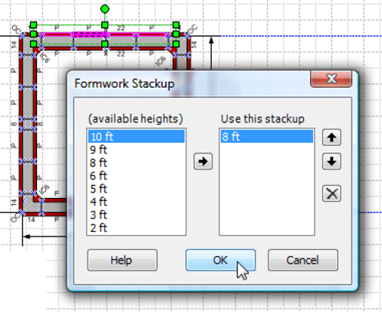 Once you’ve drawn the building structure, formwork drawing is completed by simply clicking the ‘Draw Formwork’ button. Formwork can be drawn for virtually any structure. 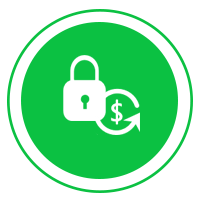 Handset Designer is also fully integrated with Avontus Quantify for estimates, inventory management, and billing. One of the more powerful building components, the pilaster can be any size and can connect to any number of walls. Pilasters can be opted to use panels or special-built pilaster forms. 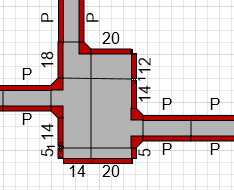 Handset Designer will automatically layout formwork for very complex situations. The available equipment for pilasters can also be set to a different availability than regular walls. For very short walls, thickened slabs, and one-sided form situations, the slab edge shape has the option to lay panels down flat, maximizing the use of your equipment. Builders in the field oftentimes want to refer to the equipment required for a wall structure, which the panel dimension shows. Highlight your wall and choose the panel dimension. 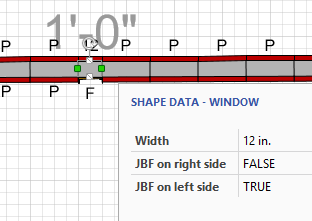 Handset Designer considers both the tie capacity and the allowable form pressure to determine the tie spacing and count. 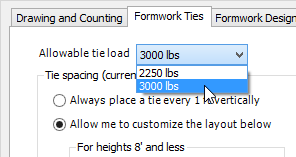 The option to choose the allowable tie capacity and spacing is easily set, or you can opt to place ties every foot for situations where ultimate strength is needed. Sometimes multiple tie spacing can be used for a single height, which you can choose between. Each drawing is properly scaled using the paper size and building structure sizes that you need. 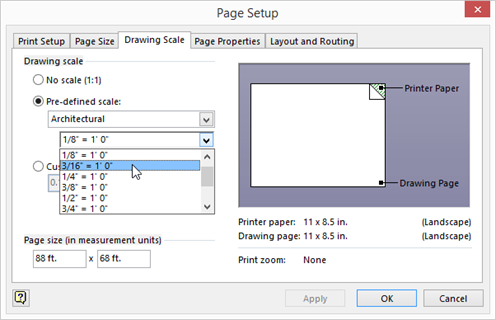 Your drawings can be saved to dozens of file formats, including AutoCAD and PDF. 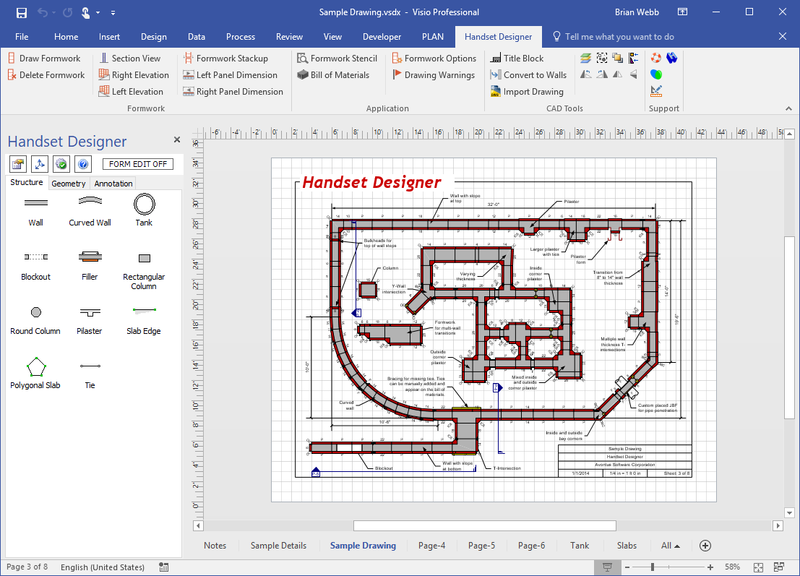 Visio drawings can also be saved to a web-compatible version, viewable by your customers on any web browser. Need to stack a few forms differently than the rest? Not a problem, simply turn on the ability to manually edit the forms, then edit the stackup. This stackup also flows through to the elevation view. Walls can be sloped and stepped at any angle. Handset Designer will calculate the optimal layout, which can be displayed on an elevation view. Used for situations like a full or partial pipe penetration, the ‘Filler’ shape can be used to place a job-built filler or panel on both sides or one side of your wall. The parametric controller dimension serves many purposes and is very useful for modifying wall and other shape lenghts. When you glue it to a shape and then change the dimension, the underlying shape length is also changed. Flipping the grow direction allows you to choose which side is anchored and which end will change when you modify the length.